They don't call the dog our best friend for nothing. The companionship, loyalty and bond we all have with our dogs really is second to none, isn’t it? 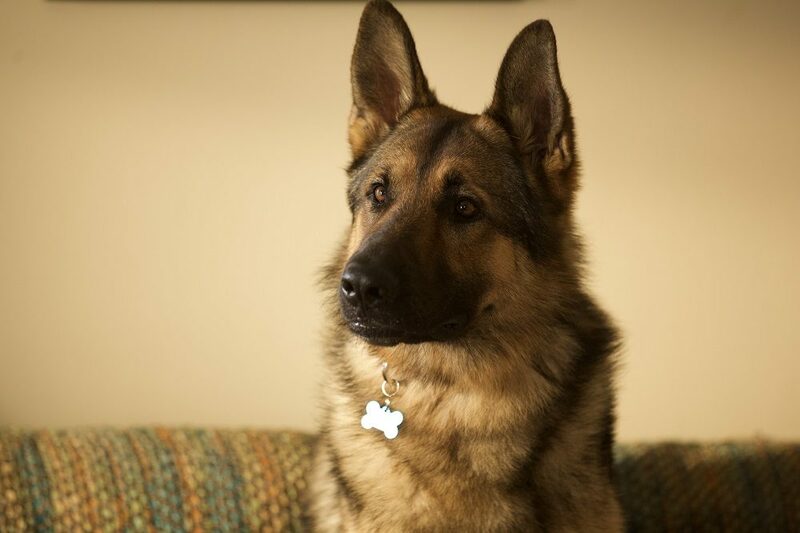 Recently we were introduced to the story of a military dog called Rex, a German Shepherd who served in the US army alongside his US marine corps working dog handler, Megan Leavey. The pair served together twice in Iraq. First in Fallujah in 2005, and then in Ramadi in 2006, where they were both wounded by an improvised explosive device. This ended Megan’s time in the military, but not Rex’s. Their story together had many twists and turns before they were reunited in 2012 and was recently made into a film starring Kate Mara, Edie Falco and Tom Felton. We spoke with Megan to hear more about Rex and their final eight months together before he passed away. Hi Megan, thanks for your time today. We know the film is about your story as a marine dog handler working alongside Rex. It must be quite a surreal experience to see your story unfold on screen? Hi. Oh yes, super surreal (laughs). In your opinion, what’s the most special thing that the film highlights? How extraordinary and important the relationships are and it highlights, you know, my personal experience of getting my dog back in the end when I was told I wouldn't be able to. It took until 2012 for you to be reunited, didn’t it? Yes. The adoption process is a very necessary process that the dogs must go through which I respect and understand. In my particular case, when I got out Rex was still able to work so he didn’t come out. He could still do a job, so he stayed. I was just hoping that down the road he would be re-evaluated to be rehomed, because you don’t know how long that might take or even if he was going to be lucky enough to make it to that point. I think in my case it was more time sensitive because he got ill [he developed facial palsy, a nerve paralysis which meant he could no longer carry out bomb-detection duties]. How did Rex adapt to normal life after you were able to adopt him? After I got out of the marine corps, I moved to New York and stayed in the canine field. I worked with an explosive detection dog called Patriot. I still have her today, she’s now retired and lives with me and I have two cats too. I’ve been an animal lover all my life, so I’ve always had dogs and cats. Patriot and Rex were lucky enough to spend some time together, they got along really well. I think she kept him young a little bit. Rex had never lived in a home environment before I adopted him, so he got to be a real dog, not just a working dog. Patriot got to show him stuff he wasn’t used to, which was pretty cool to see too. If we can learn one thing from how dogs, what would you say it should be? I genuinely do think that dogs, and animals in general, make our lives better. You know, you think of so many ways that dogs are used today, they enrich our lives in so many ways. It’s so crazy to look back thinking of my time working with Rex because these animals they don’t know they’re searching for explosives. It’s almost like a game to them, they find something and get rewarded, and they do it because they want the reward and they want to please you. The danger element isn’t comprehended by them and I think as a handler you don’t comprehend it either because your training kicks in and you’re going through the motions. It’s not until afterwards that you really think about it. Seeing your story unfold on screen, did it make you reconsider any of the life decisions you’ve made? To be honest, the best decision I ever made was joining the marine corps. I loved it and am still very close with fellow K9 handlers. I wouldn’t change any of those periods of my life. I was 20 years old when I joined, I was a young kid, but I think it moulded me into the person I am today. I had a great experience I mean, it was hard and there were times I didn’t enjoy it don’t get me wrong, but I wouldn’t change anything for the world. What piece of advice would you give to anyone who has dreams of becoming a dog handler in the military? Ah well, you know, you don’t really get to decide that that’s the role you will be given. I didn’t know about the canine program until I was in the military. Since you don’t really get to choose, my best advice would be to work hard, train hard and get good scores. REX (also known as 'Megan Leavey' in the US) is out now on DVD in the UK.